Pack Tactics. 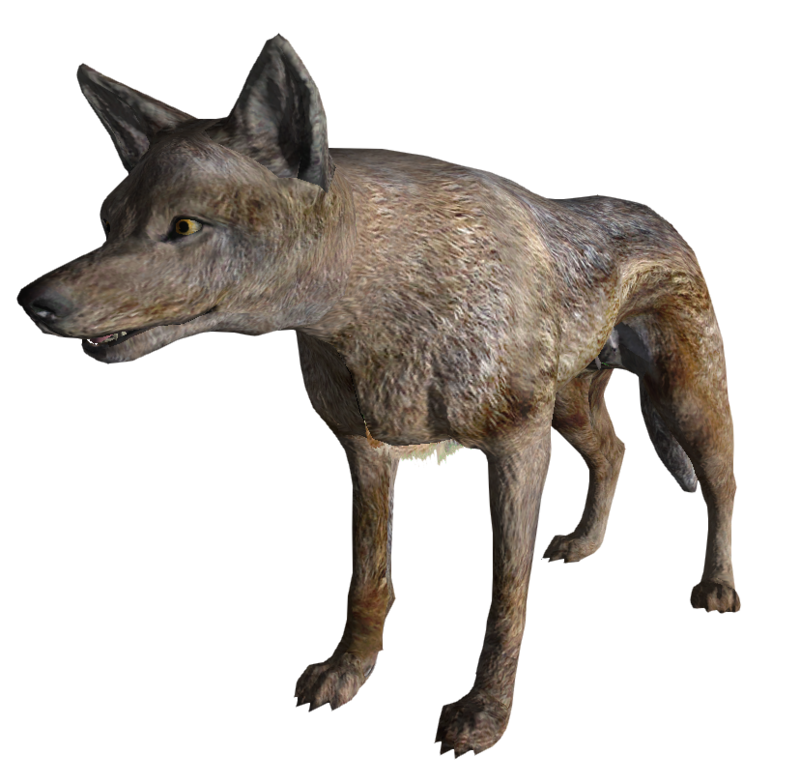 The coyote has advantage on attack rolls against a creature if at least one of the coyote's allies is within 5 feet of the creature and the ally isn't incapacitated. If the den mother takes damage after all coyote pups have been killed, it makes a Constitution saving throw. The DC equals 10 or half the damage to the den mother, whichever number is higher. On a failed save the den mother loses the benefits of Maternal Instinct and uses its turns to attempt to flee, only attacking if it is cornered. Bite. Melee weapon attack: +6 to hit, reach 5 ft., one target. Hit: 6 (1d8 + 2) piercing damage, or 8 (1d8 +4) piercing damage while under the effects of maternal instinct. If the target is a creature, it must succeed on a DC 14 Strength saving throw or be knocked prone. Alpha. The coyote has advantage on saving throws against becoming Frightened. Bite. Melee weapon attack: +8 to hit, reach 5 ft., one target. Hit: 8 (1d10 + 3) piercing damage. If the target is a creature, it must succeed on a DC 16 Strength saving throw or be knocked prone.